On the eve of Israeli’s parliamentary election, U.S. President Donald Trump gave incumbent Israeli Prime Minister Benjamin Netanyahu and his hard-line conservative Likud brethren a “win” by classifying the Islamic Revolutionary Guard Corps (IRGC), a branch of Iran’s armed forces, as a terrorist organization. The U.S.’ designation is an unprecedented step that could have widespread implications for U.S. personnel and policy in the Middle East and elsewhere, the Associated Press reports. It’s the first such designation by any American administration of an entire foreign government entity and comes with sanctions, including freezes on some assets. Within hours Monday, Tehran responded by designating U.S. Central Command (CENTCOM) and all its forces as terrorist and labeled the U.S. as a “supporter of terrorism,” AP reports. Iranian Foreign Minister Mohammad Javad Zarif said he wants to add to the country’s “terrorist groups” list all Middle East-based U.S. military forces, and he speculated on Twitter that Trump’s move was aimed at securing the re-election of Netanyahu on Tuesday, Reuters reports. Indeed, there was no other apparent catalyst for this unprecedented move that further escalates tension between Washington, D.C. and Tehran. JTA: A poll by Hadashot 13 found Netanyahu and Gantz tied, at 42 percent each, for most preferred prime minister and that his newly formed Israel Resilience party would pick up 24 seats, more than double recent estimates and just six seats behind Netanyahu’s Likud party. To help Netanyahu edge out his competition, Trump on March 25 formally recognized Israel’s 1981 annexation of the Golan Heights from Syria. Netanyahu attended the signing ceremony at the White House. NPR: “Israel has never had a better friend than you,” Netanyahu said, enumerating several instances in which the administration has delivered on campaign promises favoring the Israeli leader, including U.S. withdrawal from the nuclear deal with Iran, restoration of sanctions on that country and the recognition of Jerusalem as Israel’s capital leading to the relocation of American embassy there. Netanyahu’s final election coup de grâce demonstration of his aggression and Israeli supremacy occurred upon his return to Tel Aviv from Washington, D.C. On Saturday, he visited Israeli television stations for interviews, during which he offered Israeli voters something new: the annexation of Jewish settlements in the occupied West Bank. Will Trump back this move, too? Probably. Another important question: What’s the line between influencing and election and interfering with an election? Could Trump’s foreign policy actions during the last couple of weeks to influence the Israeli election be considered election interference? We think so. The timing of Trump’s recent foreign policy decisions in concert with the Israeli election shows his willingness to sacrifice America’s security and stability to help facilitate the reelection of a “potentially corrupt” prime minister. Undoubtedly, he will want his favors returned, because this isn’t just about Bibi. Since taking office two years ago, Trump has done more than any other American president in modern history to woo Jews, even while those within his own administration and social circle betrayed him. Nonetheless, Jewish voters continue to lean left — and are arguably pressuring centrist-liberal Democrats toward the Marxist-leftist fringe. TIME: In the November 2018 midterms, for example, 79% of Jewish voters backed Democratic candidates for Congress, according to Pew Research Center. This was slightly below 2006 levels but an increase from the 2014 midterms. On the presidential front, Jewish voters have overwhelmingly supported Democrats for decades: Al Gore won 79% of Jewish voters in 2000, John Kerry won 74% in 2004, Barack Obama won 78% in 2008 and 69% in 2012, and Hillary Clinton won 71% in 2016. 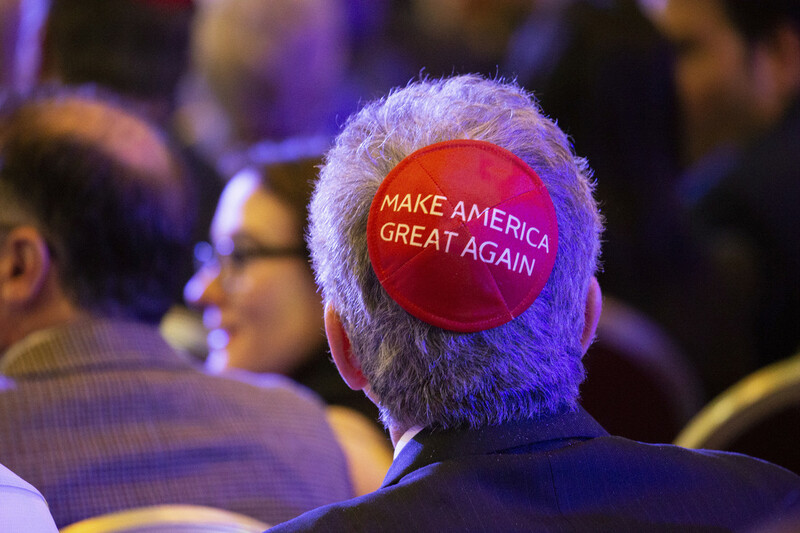 Trump’s 2020 election strategy is already committed to spending heavily on courting Jewish-American voters. Although Jews represent only around 4 percent of the electorate, Jewish donors contribute 25 percent of Republican Party funds and 50 percent of Democrat Party funds. Yes indeed, follow the Benjamins. 21 Comments on Is There Anything Trump Won’t Do to Woo the Jews? Were he ever to cease his shameless and long-standing wooing, some Wikileaks revelation would seal his fate forever. Rank odors demand strong scents. Early results in Israhell seem to indicate Bibi is going down. I’d do a happy dance, but Gantz is equally bad. No doubt and always believed Charles Kushner is a member of the New Jersey’s Jewish mafia. Does the book offer any insight on to which one of the five families he’s most closely tied? A good book review on Kushner,Inc. “It is not difficult at all to see how it is that Charlie Kushner is the real brains behind the Trump White House. Probably, all of everything that is happening is coming straight from him, getting funneled through Jared, then Ivanka, straight to the president’s desk. Quite frankly this book review makes we want to buy the book. The criminality of Charlie Kushner is mind blowing. America, you should be very concerned!! Yes, this is close to how I picture it as well. He is like an Edward Mandell House, or is functioning as an intermediary for a similar shadowy figure although not necessarily Charlie Kushner. “why did mainstream media do a book like this, is a good question” – check the term “externalization of the hierarchy”. It creates a sense of cognitive dissonance and helplessness in the herd. I don’t see a different person. His image makers are gone now, some for being too anti-Jewish/anti-Israel, so The Real Donald Trump is shining through more than before. What did Nixon once say … “You think I’m a new Nixon? Well, maybe you didn’t know the old Nixon” …. or something like that. And the presidency is a hard role, one that’s both mentally and physically demanding. Trump is 72, so even in a non-taxing environment, some decline would be expected. 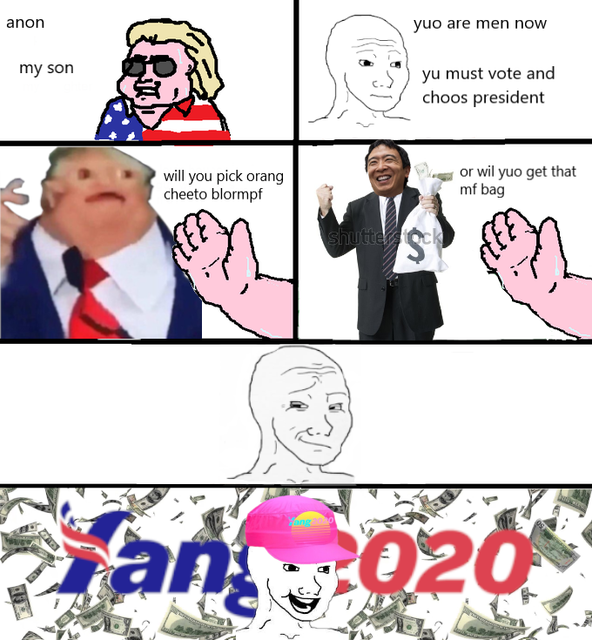 Donald appears to be the only choice for 2020. Republicans aren’t going to run any other candidates, and there are no independents stepping up to grab the reigns. The stable of Democrat Marxists taking center ring are a terrifying lot. Nothing good will come of it. I think Deb Della Piana best describes our political situation.. If the Jexodus drains support from the Dems, what will prop them up? Will local, municipal zionists in power in local townships have to flip right? What will happen to the heavily propagandist leftist version of history and the mindbending money spent on socialist indoctrination? Can’t wait for that show! Democrat leaders appear to be predominantly black, Hispanic, female or Jewish. If you spot a non-Jewish “white” male, look a little closer and you’ll probably discover he’s gay. There are very few (if any) Christian/moderate/sovereign-nationalist white males. Republican leaders, on the other hand, appear to be predominantly white Christian males. Yet, the Republican establishment acts like Jewish sycophants and parades Israel fan-boy allegiance flags. Meanwhile, Dems play to a white base by acting coy about their loyalties to Israel. Dems do Israel’s bidding and dirty work secretly/behind the scenes/at the periphery, while non-Jewish apologist Republicans flaunt it. So what we have is total capture with the illusion of choice. Conservatives in the Republican party welcoming a “Jexedous” will be in for a shock. The Jews will bring their leftwing baggage with them. As far as I’m concerned, Trump and family should get it over with and move to Israhell, since there is no doubt that is where their loyalties lie.